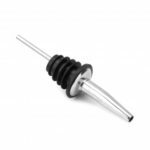 This bottle stopper is idea for sealing, preserving, and protecting your wine against harmful contaminants. Vacuum pump removes air to halt oxidation process, can extend wine storage time and ensures freshness. 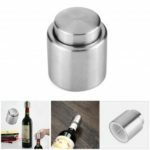 It is exquisite and functional, easy to use and clean. Vacuum pump removes air to halt oxidation process, can extend wine storage time and ensures freshness. 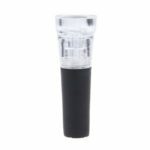 The stopper is placed on the bottle, repeatedly pulling the movable end of the stopper can extract the air from the bottle for easy preservation. Made of high quality rubber and ABS materials, non-toxic and eco-friendly, safe and durable to use, also easy to clean. 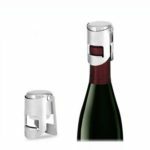 Ideal for sealing and preserving of a bottle of wine applies to restaurants, hotels, bars, clubs, KTV, cafes and so on.